I ended up being pressed for time tonight, so I've found myself stooping to a new low in providing content for 'Character Of The Day': stealing a page from the sketchbook of my 13 year-old self. 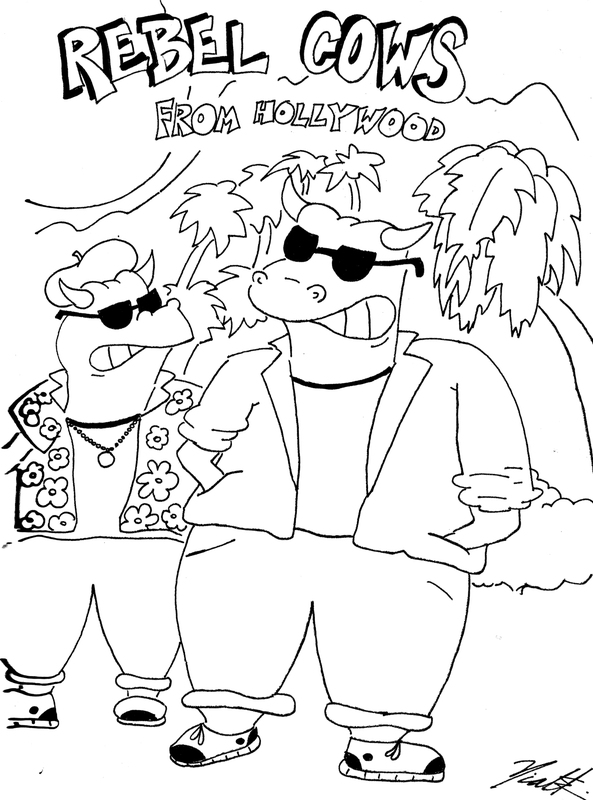 I don't know who the Rebel Cows From Hollywood are or just what they want, but here they are. (I'll try not to make a habit of this, I swear.